A completely unique position on the piste and next to the Chaudanne lifts. 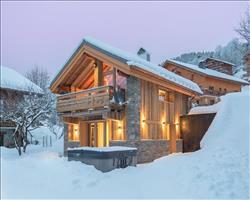 Just 150m across the nursery slopes to the village centre. 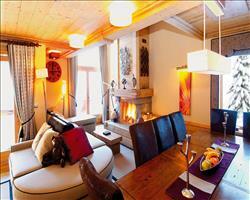 You can pre-book ski hire with North Face who provide an in chalet fit service. 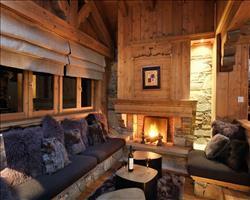 Refuge Boua is the ‘sell-out' chalet in our Meribel portfolio and favourite of the hard-core Meribel ski cognoscenti. 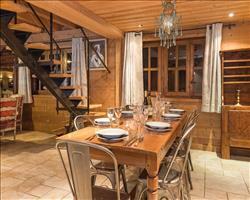 This is a true skiers chalet; literally on the piste and next to the lifts at Chaudanne, the main hub of Meribel's huge ski area and ski school meeting point. The bijou front room provides a bright and comfortable living space leading to a small terrace with a secluded hot tub. (First floor) - Double with en suite shower, hand basin and WC. Limited space for an extra temporary bed or cot. (First floor) - Twin with en suite shower, hand basin and WC. Limited space for an extra temporary bed or cot. We update Refuge Boua's details often, but facilities do change. e.g. some extras listed by the supplier as "free" or included might only be for the first time you use them, or for one time per party, then charged for further use. If any specific feature is essential to your holiday, make sure you ask us to confirm the details of it before you book your holiday. This package holiday to Refuge Boua in Meribel & Mottaret, France departs Sunday 19th April 2020, for a 7 night stay on a "catered chalet" board basis. A local tourist tax (Taxe de Sejour or Kurtaxe) is levied by many councils in European ski resorts. It varies by standard and type of accommodation and is age dependent, so not everyone is charged. It's not included in the basic price of your holiday and is usually paid locally. For reference, the average charged in winter 15/16 was between 50p and £2 per person, per night. Meribel & Mottaret lift pass price last reported as €212 (adult 6 day). Ask for a quote when booking Refuge Boua. We all had a fantastic time at chalet Boua. Josh and Gareth could not have been better hosts and were also very flexible if we had additional requirements. The food was brilliant and wine allowance very generous. The location was also unbeatable, I would definitely recommend this chalet to others and we are also planning a return trip ourselves. The tea in bed is also a nice touch! "Fantastic all round service and cuisine"
From the moment you step onto the bus with fruit and water provided you know this is a good company. Very friendly and efficient team at every stage. And Refuge Boua exceeds expectations. The chalet team Gareth and Josh are passionate hosts. From the warm reception to the amazing cuisine they want it to be only the best. They have a passion for cooking and working as a team they manage to produce four course meals that would do a 5* restaurant proud. And nothing is too much trouble for them from tea in bed in the morning to a fresh baked cake at tea time. 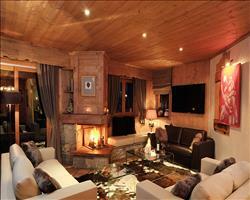 And the Refuge Boua is ideally situated right by the central lifts a 60 second ski away. All in all a fantastic holiday package. Thank you Josh and Gareth it's been a pleasure staying with you. 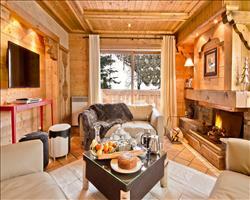 "Best ski holiday to date!" Travelled with a group of friends who have shared many ski holidays in the past and we all agreed this was the best to date! 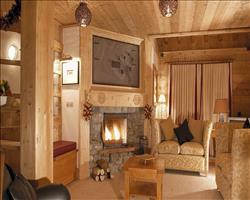 The service level is superb, the chalet absolutely lovely, the food incredible and plenty of it. 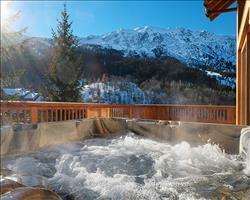 Unlimited wine, hot tub and ski in- ski out all made this a wonderful ski holiday. And last but by no means least our chalet hosts Gareth and Josh were the best - extremely nice, friendly, polite, helpful and incredibly accommodating - they made our week. Highly recommended.